Locating the source of the leak through the ceiling can require a professional. 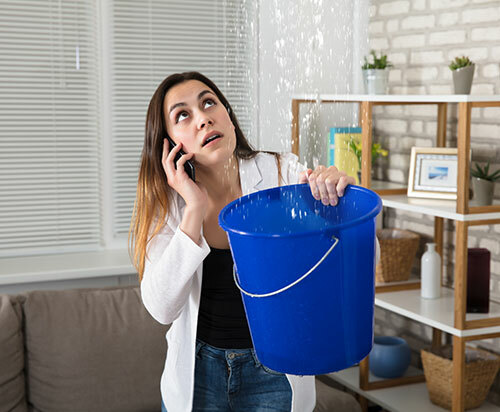 Possible causes range from leaks in roofs to leaking heating pipes in the floor upstairs, leaking wastes under baths and sinks, broken plastic pipes in bathrooms, broken boiler and/or a split header tank/cylinder. Other causes include cracked showers, gaps in bathrooms tiles and poor silicon round shower trays and baths that can be due to poor workmanship or general wear and tear. To combat these problems please call D.Birtles on 07957 138389 and one of our handy plumbers will visit to rectify the problem.